This is no new venture. Gavin, Sasha, Andrey and Natasha have been working together for some years taking groups onto Elbrus and into such remote areas like the Lagonaki Plateau in southern Russia. Years of working together has built up a trust and friendship that is surely reflected in the standard of service on our trips and the ultimate added enjoyment for clients. "We wanted to create something that was not just about climbing mountains or hills; Russia has so much more to offer than that. A wonderfully rich culture and history spread over such a vast and fascinating land means that it would be shame to go there without having someone to make it alive. Sasha has huge knowledge of the country and her people, while Andrey and Natasha can make your city break in Moscow a truly great experience! is a two times Everest mountaineer and has been leading expeditions around the world for fifteen years, including the record-breaking Seven Summits Expedition in 2000. Writer, photographer and adventurer, Gavin lives in Ireland and in Kenya but now has a place in Russia ! He has been climbing and exploring Russia with Sasha and Andrey for some years now and runs Adventure Alternative, established for ten years as one of the leading expedition companies in the UK. 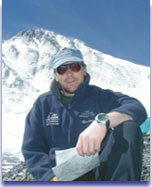 Gavin also distributes Russian oxygen to Himalayan Expeditions. Sasha is a Rafting Champion of Russia and our guide for all expeditions. Uniquely he is also an expert on the cultures of Russian different regions, a recognised academic on such areas as the Altai about which he has written books, as well as representative of all that is strong and loyal and decent about the Russian character. With Gavin he has led many expeditions on Elbrus with a perfect safety track record because of their joint teamwork and high professionalism. Sasha lives in Moscow with his wife Alena and family of six children. was a renowned scientist during Soviet times and now manages the business administration of foreign visitors with an unparalleled knowledge of Russian bureaucracy. With our own tour operators license, Andrey will take care of all officialdom, visas and paperwork, and assist with Moscow tours and excursions. Excellent English and a unique sense of humour ensures a memorable introduction to Russian character ! 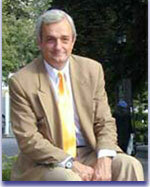 is an experienced Moscow guide with a government license for the Kremlin tours and other sights. 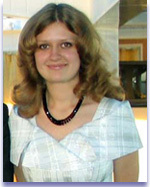 A graduate from Foreign Languages Department at a Moscow University she mastered in Germanic Languages and International Communication and is fluent in English, German and Spanish. 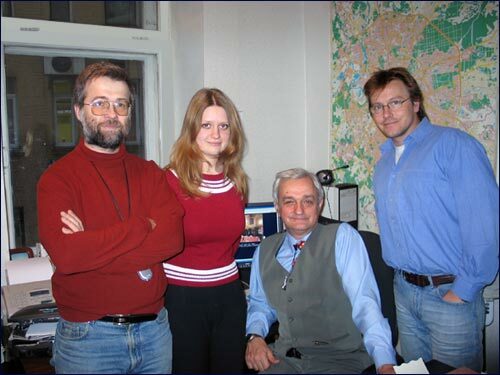 She has lived in Central America for some years and studied in Europe, and thus she is not only a guide in Moscow, but also a guide to the Russians, Europeans, Americans, etc. Her deep knowledge of the Russian history, culture, and traditions, a brilliant sense of humour and an outgoing personality will make your visit to Moscow most knowledgeable, memorable and enjoyable.